The Portuguese broadcaster Rádio e Televisão de Portugal (RTP) held the final of this year's Festival da Canção. After one year absence from the Eurovision stage, Portugal is now back! This time with Salvador Sobral who won Festival da Canção 2017 with the ultimate love song "Amar Pelos Dois". Salvador's song "Amar Pelos Dois" (English: "Love for both") is written by his sister Luísa Sobral. 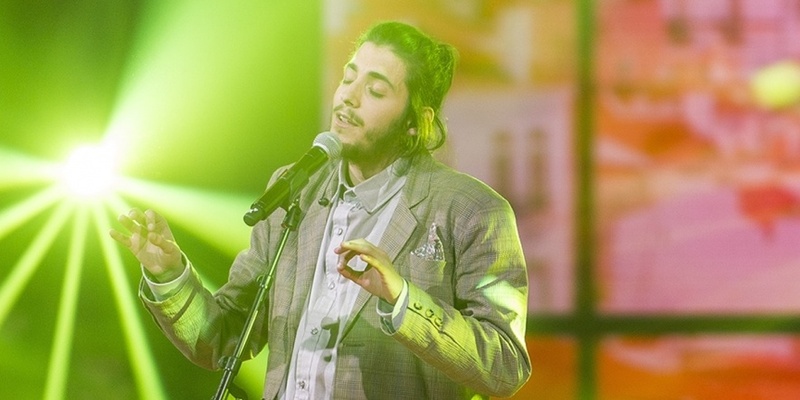 Salvador Sobral (27) is a Portuguese singer and composer. He originally studied Psychology in Lisboa, but his passion for music was stronger. In 2009 he competed in the third season of "Ídolos" (Idols), where he finished seventh. Salvador has been studying jazz music in Barcelona at the school Taller de Musics. During his stay in Barcelona, he was the vocalist of the pop indie band "Noko Woi", with whom he participated in the Festival Sónar in Spain. In Portugal he has been working with several big names on the Jazz scene, and in 2016 his first album in his own name, "Excuse Me" was released. The final was held at Coliseu dos Recreios in Lisbon, hosted by Sílvia Alberto and Catarina Furtado. The final had eight songs – four songs from each of the two semi-finals. The winner of Festival da Canção 2017 was decided by 50/50 jury/televoting. The juries consisted of 7 regional juries from across Portugal. Composers had been invited by RTP, the national broadcaster of Portugal, to submit songs for Festival da Canção. The songs were revealed by RTP on 26 January 2017. Portugal 2014 | Suzy - "Quero Ser Tua"
Portugal has participated 48 times since 1964. It was a very bad start, as they managed to get Zero Points in the debuting year. They have never won the contest, and never made the top-5. In fact Portugal holds the record for most appearances in the contest without a win! The best result is a sixth place in 1996, and they ended last three times: 1997, 1974, 1964. Since the introduction of Semi-finals in 2004 Portugal only qualified for the Grand Final 3 out of 11 times.